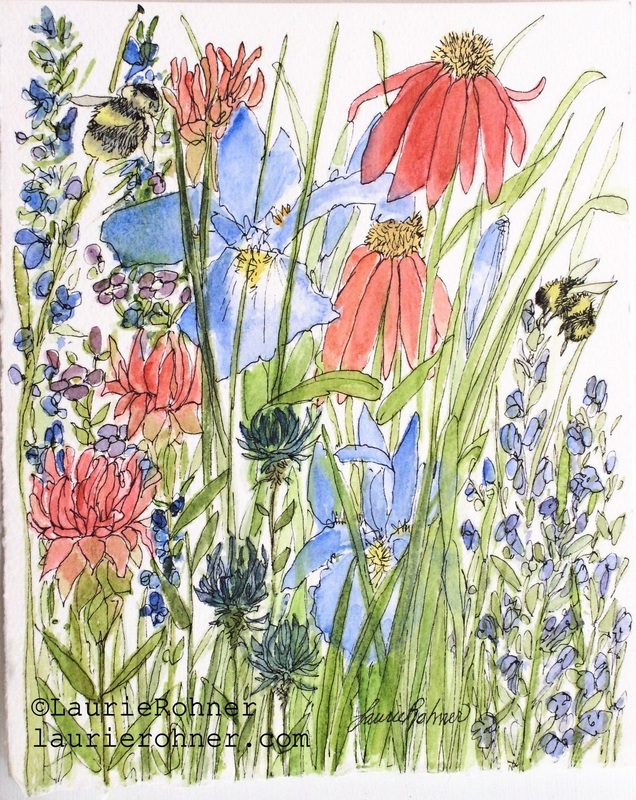 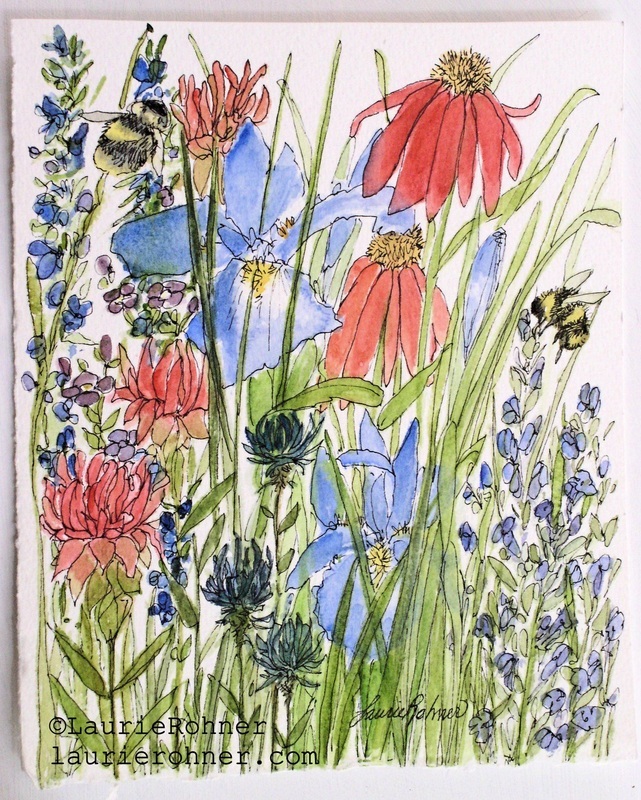 SOLD Woodland Wildflowers and Bees Nature Art Watercolor Botanical Original by Laurie Rohner. My watercolor painting is an original botanical garden nature art painting of a study for woodland wildflowers with bees buzzing around the blooms. 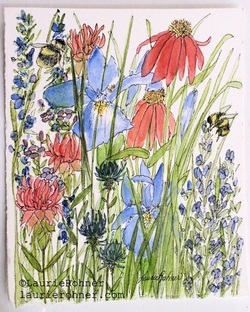 The title of this whimsical painting is Woodland Wildflowers and Bees by Laurie Rohner. 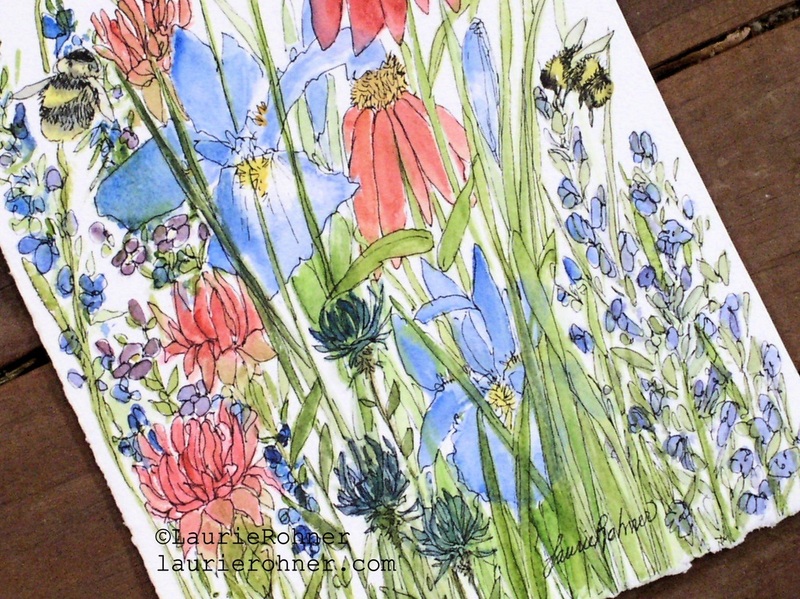 Each flower is painted by hand and then I apply ink. 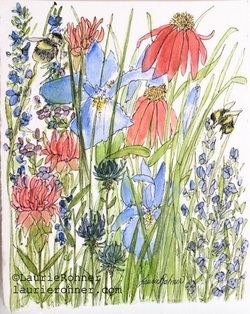 This is a delightful whimsical botanical illustration and is affordable. 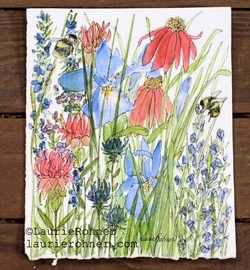 This painting ships to the USA for only $3.00.